Looking for a some great music for the day of the Procession? We have it right here! A Eucharistic Procession is more than people traveling from one place to another: it’s about what would happen if Jesus came here, right now, and led His people to feel the real and beautiful presence of His powerful love for us. What will the DRIVING Eucharistic Procession be like? 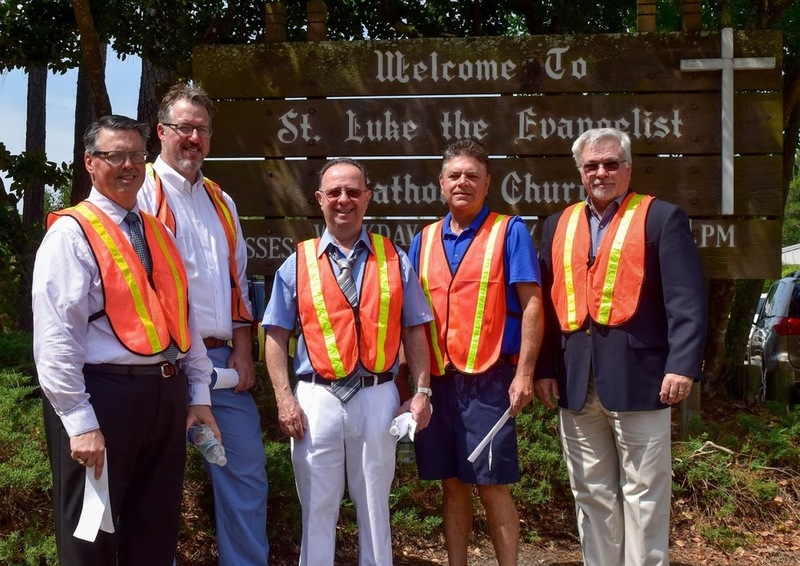 First and foremost, we must thank the City of Slidell and St. Tammany Parish for their generous help and guidance in establishing the safe and expedient logistics that have helped us to make the Procession a reality. This is an amazing city, filled with amazing people whose number one priority is caring for one another. Come early to the HOLY MASS at Our Lady of Lourdes Catholic Church at 10:30 am to make certain that we can make the logistics of the Procession easy on the officers and safety personnel that are directing traffic for the event. We also ask that you follow the direction of Knights of Columbus and Men&apos;s Club AND PLEASE BACK INTO YOUR PARKING SPACES on June 23rd as you head into the 10:30 am Mass so that people participating in the Procession can easily leave. * NOTE: If you would prefer to come to the Holy Mass but not participate in the Procession, simply remain prayerfully in the church until all the Procession vehicles have left the parking lot. City and Parish officials have requested that we leave as close to 12 pm ON THE DOT as we can to make certain that traffic delays are kept to a minimum for those who are not part of our Procession. Please head into your vehicle as soon as we are dismissed from the Mass. * NOTE: Parishioners of other parishes who would like to participate with the Procession beginning at St Margaret Mary should arrive at SLIDELL HIGH SCHOOL PARKING LOT NO LATER THAN 12:20 PM TO BE SURE TO BE USHERED INTO THE PROCESSION BY THE CITY AND PARISH OFFICERS.